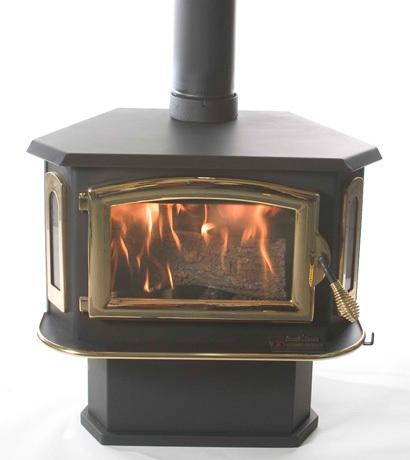 The Model 91 catalytic is our most popular selling wood stove. 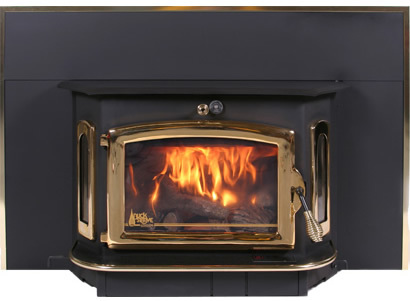 Majestic in appearance and performance it is the ultimate in wood stoves. The Model 91 used as a masonry fireplace insert or as a freestanding unit easily accepts 21″ logs and heats up to 3200 square feet with an astonishing 50,400 BTU’s per hour. Features include a factory installed blower, high efficiency heat exchanger, ash removal tray and oversized glass door with air wash system. Model shown with the Gold Door and Gold Window option. Pewter and Black door options available. Ask your local dealer for more options. Model 21 can be used as a fireplace insert with optional insert kit, pre-fab insert, or as freestanding unit with optional Queen Anne legs. 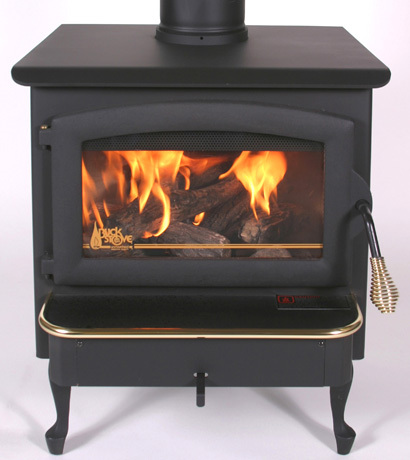 With a heating range of 800 to 1800 square feet, the Model 21 is an ideal choice for zone heating or small homes. The Model 21 is now approved for Washington & Oregon State Standards.. 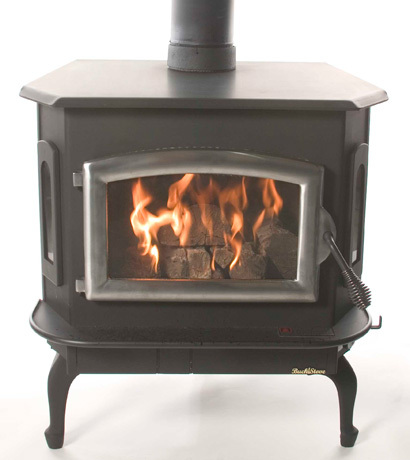 The Model 18 is a highly efficient non-catalytic wood stove designed as a masonry or pre-fab fireplace insert. Use as a freestanding stove with the optional pedestal or traditional Queen Anne legs. The Model 18 is rated at 27,000 BTU’s and can heat up to 1200 square feet (depending on the design and layout of your home). 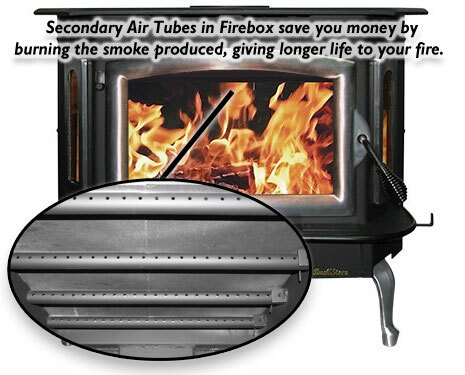 The 17-3/4″ height allows the Model 18 to fit almost any U.L.listed pre-fab fireplace.